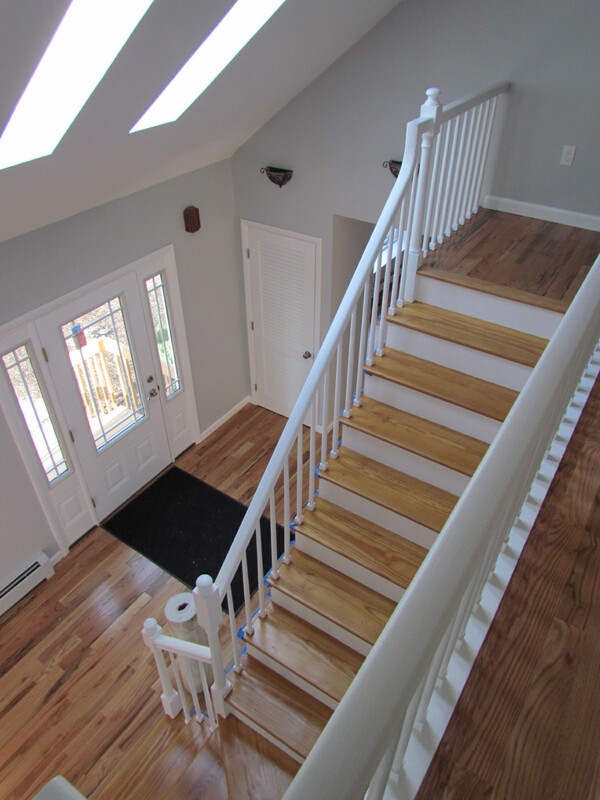 A Handyworks "Whole-Home Remodel" Completed! Part 3 of 3 in our series "Remodeling an Entire Home"
Bethany is a quintessential New England town in south central Connecticut. 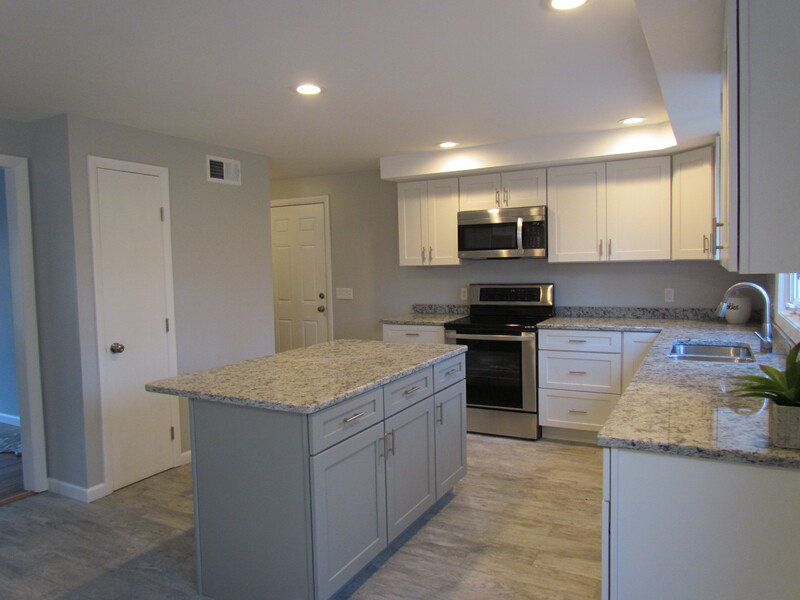 Let's take a stroll through this beautifully-remodeled, contemporary colonial, located deep inside of a woodsy cul-de-sac, completely remodeled by Handyworks Remodeling of Wallingford, CT. 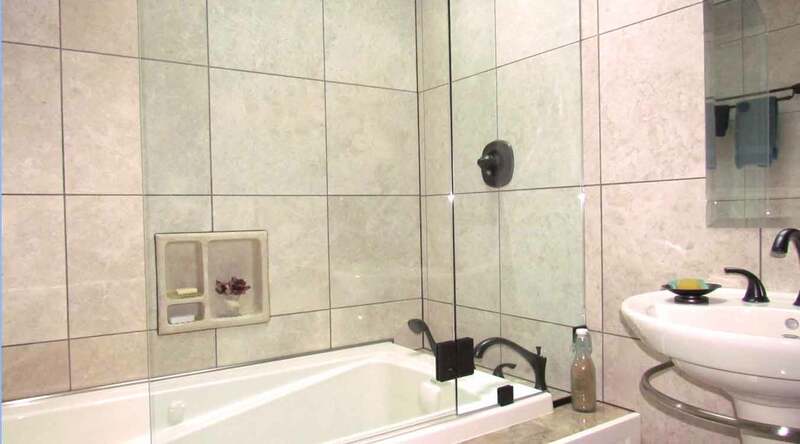 This pristine home boasts brand new appliances, fixtures, lighting, windows, flooring, and doors. The new hardwood floors take you to the spacious living room; the formal dining room; the all-new kitchen; the open staircase toward the skylights; or the master bedroom ensuite with hallway overlooking a foyer and beautiful, new Therma-Tru door with two sidelites. 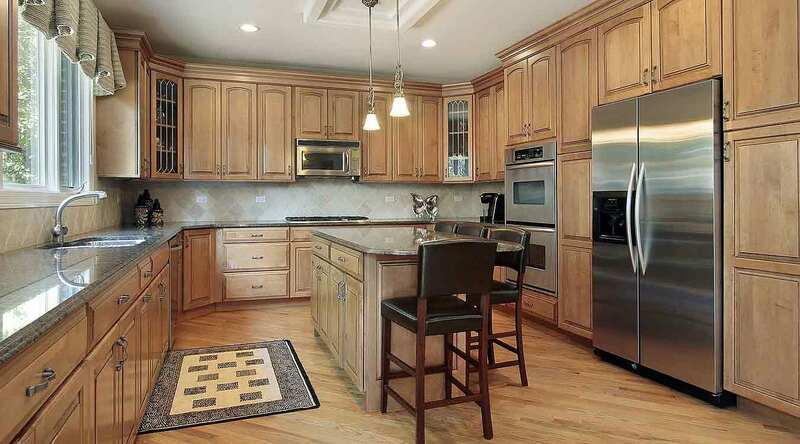 This fabulous kitchen boasts amenities like custom granite, new appliances, stainless steel soft-close drawers, and, for connecting to any portable devices, comes equipped with a handy USB port. 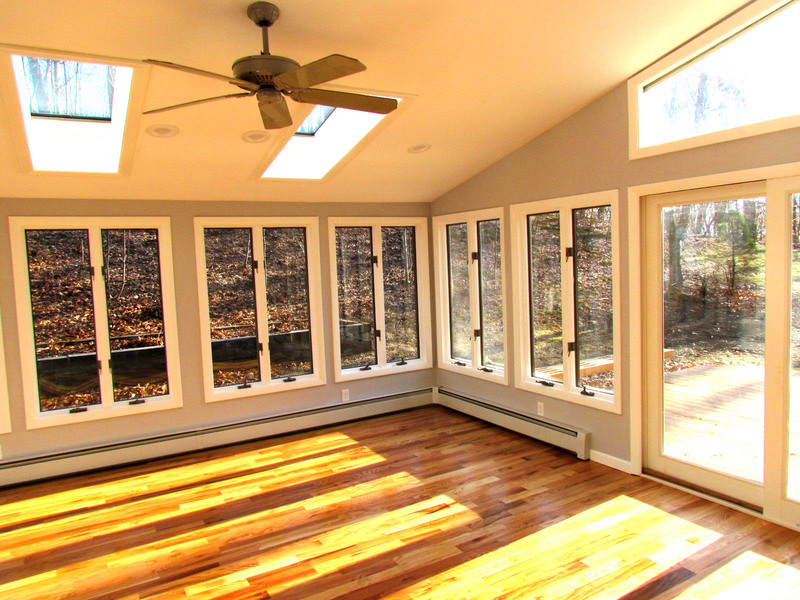 Family Room leads to Sunroom with 16 windows! 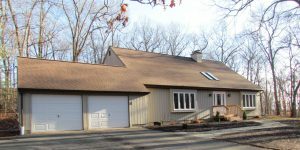 The Kitchen opens into the Family Room containing a cozy fireplace, and a versatile, heated, sun-filled room with gliding patio doors on two sides, with skylights above them. 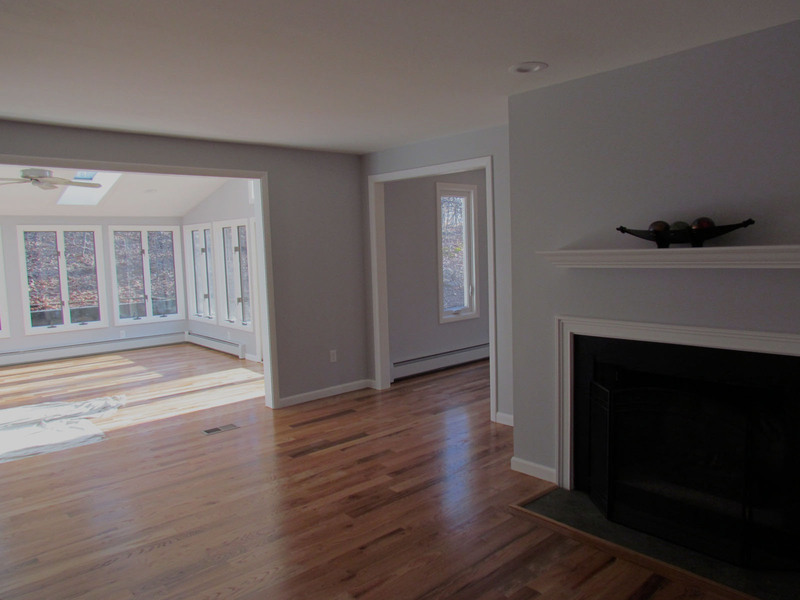 This family room is enclosed with sixteen brand-new energy-saver vinyl casement windows. 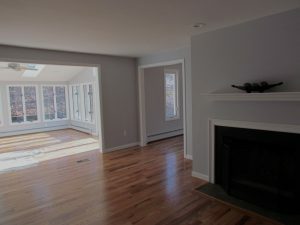 It's a family room that literally calls out to enjoy every season Connecticut offers. PLUS closets galore, throughout the house, too! 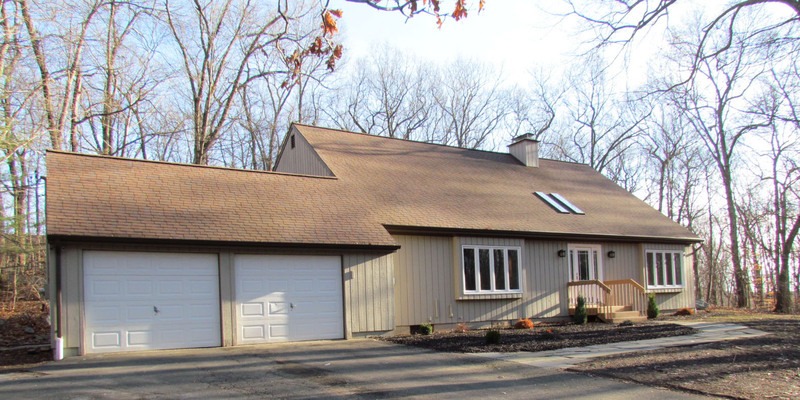 on twin decks, this home is located on over 2 ¼ acres of natural beauty that is Bethany. The people who live there have rapid access to one of the top-rated school systems in America! This was part 3 in our series, "Remodeling an Entire Home". We home you found it valuable. > To read part 2, "Progress Update", click here. > To read part 1, "Handing A Whole House...All At Once!" click here. ASK KEITH A QUESTION: Got a question about remodeling one room...or a whole home? Keith Santora of HRD, Handyworks Remodeling and Design replies ASAP to your question the same day (or the next morning)! Get professional input from an expert, fast & free. No obligation. Click here to ask. Try it.